This is the printed version of the pattern. If you would like the downloadable version, click here. 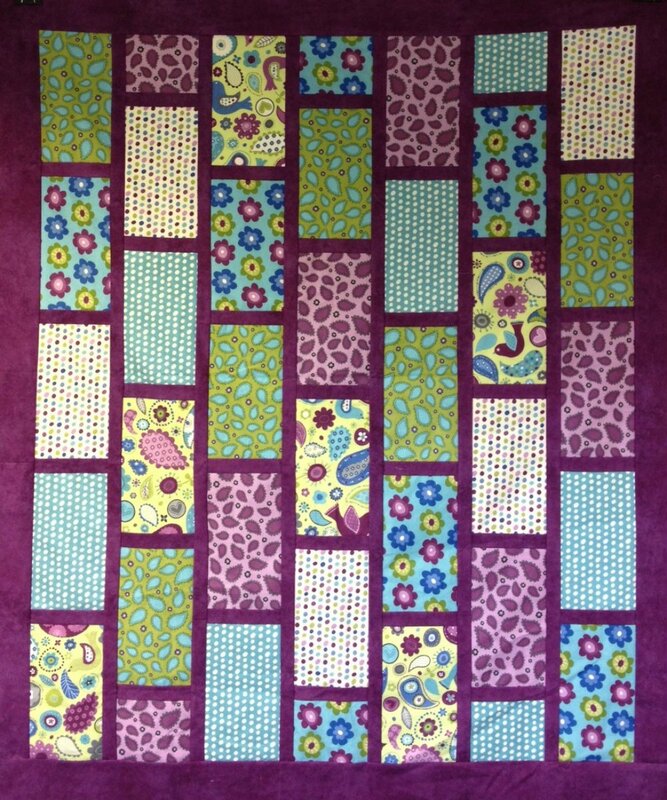 Pattern Description: This fat quarter friendly quilt pattern makes up a large lap quilt that is approx 49" x 58". Choose 6 fat quarters, some sashing and you're on your way! Non-directional prints work best.